We have occasionally covered the weird story of Italian airline Meridiana on Head for Points. This was an airline based in Sardinia, owned by the Aga Khan and flying a decrepit fleet of planes to random destinations. It also used Avios as its loyalty currency, although you cannot transfer in or out of the Meridiana Club scheme. Qatar Airways recently acquired a 49% stake in the airline. Qatar also happens to have a few spare aircraft at the moment due to the short-haul blockade in the Middle East. This is allowing it to support a nose to tail restructuring of Meridiana which will transform it beyond recognition within three years. If we are lucky, it will fill the gap left by airberlin for an Avios-based carrier in central Europe. On Monday, it was officially announced that Meridiana will be renamed Air Italy. The website is here. All of these aircraft are either currently owned by Qatar Airways or are in the course of being delivered. This latter figure is especially eye catching. Meridiana currently runs the odd long-haul route but taking a fleet of 20 787s involves a massive commitment. I can only imagine that this plan assumes Alitalia being absorbed by a short haul airline and its long haul routes dropped, leaving a gap in the market. The new airline will be based at Milan Malpensa, which at least makes more business sense than the current Palermo hub. 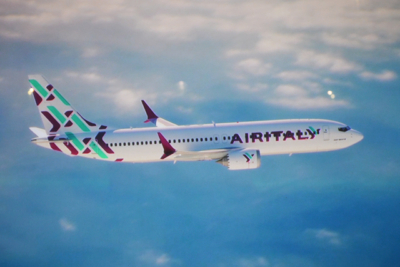 You can read more about the Air Italy launch on its website. British Airways "to cap Club Europe at seven rows"
Does this mean that these codeshare flights could then open up to being booked by non Meridiana avios like other Qatar flights? Codeshare flight numbers generally don’t have award availability anyway. Redemptions usually have to be on the operating carrier. Palermo is in Sicily, not Sardinia? Meridiana headquarter is or was in Olbia (Sardinia) not in Palermo (Sicily). Obviously a personal opinion, but that livery is awful. Was it done by the person who did the random multi-colour tail fins for BA some years ago? There were a few errors in the original article, the airline based in Olbi, aSardinia which is where the HQ will continue to be. To my knowledge, the airline has never had a base in Pal to my knowledge, airline has never had a base in Palermo. Right, the whole Sicily/Palermo reference is a red herring. There’s only one flight from Palermo. The Aga Khan’s association always became with Olbia, Sardinia and the “creation” of the Costa Smeralda (which I’d put someway down the list of good reasons to visit Sardinia). Cagliari (and nearby Roman ruins ) certainly have more to offer culturally, but Costa Smeralda is stunningly beautiful and a short ferry ride to Corsica and the even more beautiful Bonifacio. I’m not sure its plan assumes Alitalia being absorbed by someone else. It’s potentially quite a different proposition being run out of MXP. Alitalia’s presence at MXP is pretty minimal bearing in mind it is the national airline and MXP is the biggest airport at Italy’s commercial centre (even if it is 30 miles out of the centre). And its longhaul is largely run out of FCO. There is surely a significant amount of potential longhaul demand out of MXP which isn’t currently being served by direct flights to longhaul destinations – hence the regular fare wars for flights from MXP connecting to longhaul in London, Frankfurt etc. Its biggest challenge might be competing with the shorthaul stranglehold of Easyjet at MXP. Alitalia will eventually be absorbed/downsized not as a result of Meridiana, but due to decades of mismanagement. BEar in mind next March 4th there are the Italian elections and government is waiting for the result to comment on Alitalia’s situation. There is interest from Lufthansa-Air France/KLM-Easyjet to keep ‘drowning’ Alitalia afloat, those companies being interested in certain Alitalia’s profitable slots. Alitalia has always been very unionised, over-staffed, political and Rome-centric, saved by various governments of all colors (with taxpayers’ money of course) and it won’t be easy to manage. I welcome this Meridiana development though, it will help develop Malpensa (who was left desert by Alitalia years ago and resuscitated by the low cost) adding additional tourism/trade routes. When the Gulf blockade ends, presumably QR will want their shorthaul planes back? !